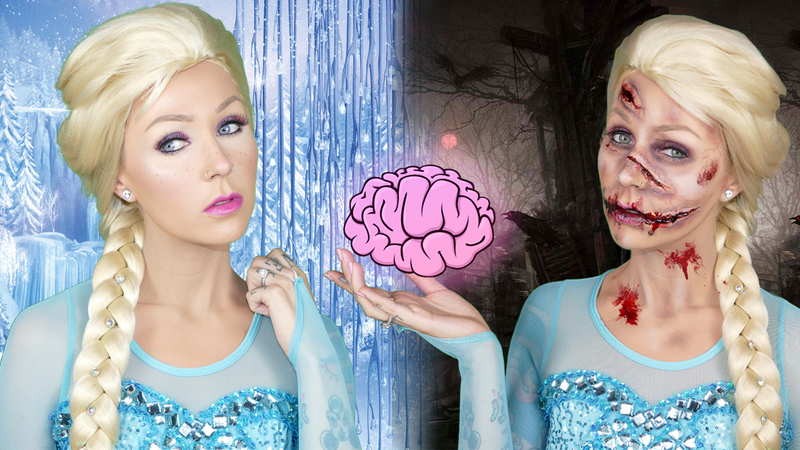 Zombie Elsa VS Queen Elsa Halloween Makeup Tutorial! Ahhhhh!!! I had so much fun doing this look for Awesomeness TV. I am really new to latex and SFX stuff, but it's a blast to do, and I love a good challenge. I still have a few more Halloween looks planned form my channel, so stay tuned. If you have any Halloween looks you would like to see me do, then leave them in the comments below. Thank you guys for all the love and support. Have a happy and safe Halloween!